What role does ritual play in the everyday lives of modern Africans? How are so-called "traditional" cultural forms deployed by people seeking empowerment in a world where "modernity" has failed to deliver on its promises? 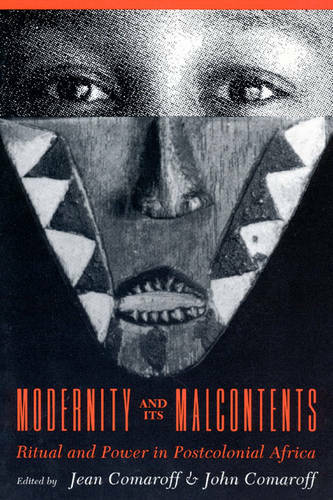 Some of the essays in "Modernity and Its Malcontents" address familiar anthropological issues but treat them in fresh ways, situating them amidst the polyphonies of contemporary Africa. Others explore distinctly non-traditional subjects - among them the Nigerian popular press and soul-eating in Niger - in such a way as to confront the conceptual limits of Western social science. Addressing challenges posed by contemporary African realities, the authors subject such concepts as modernity, ritual, power and history to renewed critical scrutiny. They are united by a wish to preserve the diversity and historical specificity of local signs and practices, voices and perspectives. The contributors, all from the Africanist circle at the University of Chicago, are Adeline Masquelier, Deborah Kaspin, J. Lorand Matory, Ralph A. Austen, Andrew Apter, Misty L. Bastian, Mark Auslander and Pamela G. Schmoll.